A former F1 doctor who turned whistleblower was sacked by NHS hospital bosses. Consultant neurosurgeon James Akinwunmi says after he made complaints on other doctors bosses closed ranks and forced him out. Brighton and Sussex University Hospitals NHS Trust are now poised to appeal against a tribunal ruling which found he was unfairly dismissed. The tribunal ruled he had not been victimised on racial grounds or because of whistleblowing, but said the Trust had unfairly sacked him. It said BSUH had not tried to address his concerns about returning to a hostile work environment, in which he had become “isolated” by other medics. This was after Mr Akinwunmi, who previously supervised medical treatment for Formula 1 racing teams, claimed NHS emergencies had been turned away while on-call staff treated private patients. He alleged they were fraudulently claiming double pay – but says his complaints were ignored. A Trust investigation found there was no case to answer. Colleagues claimed he had issued threats of violence against them, but no evidence was found to support the claims. Mr Akinwunmi said as the spat deepened bosses and regulators hounded him over claims he had accidentally removed a healthy portion of a patient’s brain during surgery. A High Court ruling later found it was a one-off mistake that should not have triggered restrictions on his practice and awarded £16,000 in costs against the GMC. But he had taken time off as the feud with BSUH doctors deepened. The Trust accused him of fleeing to the Cayman Islands, where he has a practice, and missing important meetings, and sacked him from his role in October 2014. The Trust sacked him after claiming he had spent too long away on unauthorised leave, but he claimed he during this period he could not return because of a hostile workplace. The employment tribunal ruled the Trust should have made further efforts to facilitate his return and mediate following the dispute,so said he was unfairly dismissed. A spokesperson for Brighton and Sussex University Hospitals confirmed plans were afoot to appeal against the ruling. 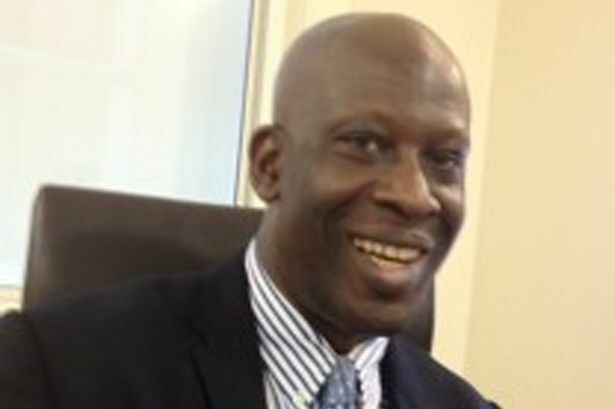 They said: “Mr Akinwunmi made a claim to the employment tribunal against the Trust for unfair dismissal, victimisation and whistle blowing detriment in October 2014. Those claims were heard over a 12 day hearing in November and December 2015.“The judgment was received in 2016. The tribunal rejected Mr Akinwunmi’s claims of race discrimination victimisation. The Employment Tribunal also dismissed Mr Akinwunmi’s claim for whistle blowing detriment. Mr Akinwunmi is not appealing against these decisions to reject his claims of victimisation and whistle blowing detriment. These are not the workings of a ‘fair and reasonable’ employer, but of senior management who by their actions and omissions time and time again show they are not ‘fit and proper persons’ to hold such office. Instead they abuse their power to conceal matters ridding their organisations of the ‘diligent’ worker, whilst retaining the services of a corrupt manager or worse management team. Also, whilst appropriate ‘regulation, registration and professional standing is required of clinical staff appropriate to the level for the role and band the same cannot be said of some staff who hold equivalent level band in administration management (non technical roles) roles. I have witnessed first hand teenagers in temporary posts being given permanent first line and middle management positions despite the absence of qualification, background or training required and thus it only taking 20 months to move from apprenticeship to Band 8 role. Those workers then go on to monitor the work of trained nurses, social workers, provider organisations who are often more qualified than those providing oversight and sanction. More than perverse I would say.